Our Brothers in San Diego Lost their Clubhouse to a fire last night. 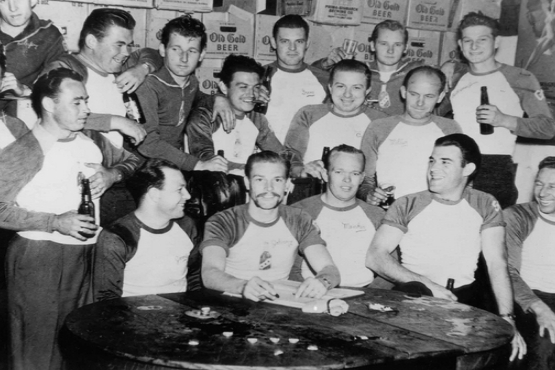 The clubhouse was full of history and memorabilia from over the past 70 years. Luckily nobody was in there when the fire occured and there were no injuries. Chapter 3 brothers and Snowman do so much for the community it's only right to help make sure they are taken care of! We don't know what kind of financial problems they will face after this but let's get this going so they can start rebuilding! IAMBK and we leave no brothers behind! Please share and donate whatever you can. Let's get them back on their feet and riding forward again. Boozefighters UP! Would never ask for help, but would also never forget to thank those that can. I could never pay back a monetary amount of what Brian has given me in friendship and protection over the years. Hope to hear the new clubhouse is up and running soon. Anything we can do to help, please let us know. Maybe clean up? Help with rebuild? Anything at all. Bad news - was hoping to make it back out there soon - never been to the clubhouse. Anyway - with all you have done for PanT over the years - feel we need to dig deeper. Life-Long Supporters - maybe we will be back here again.